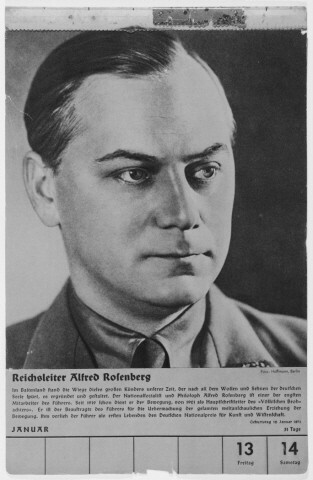 Portrait of Alfred Rosenberg. One of a collection of portraits included in a 1939 calendar of Nazi officials. Germany, 1939.